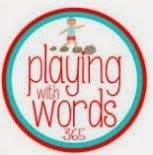 Building Successful Lives- Speech & Language Services: 3rd Blogiversary Celebration!!!! Wow! Today is a special day because three years ago I started my blogging journey writing this Building Successful Lives blog. At that time, I was in my 9th year as an SLP and completing my Education Specialist degree in Curriculum & Instruction. I enjoy staying current with best practices in speech-language pathology and education. I am committed to building successful lives of children with special needs. I believe that communication, language, and literacy are the foundation for kids' success in school and in life. Over the past three years, I have truly enjoyed sharing my speech-language therapy activities, favorite children's books, instructional products, and information for parents too on this blog! I am grateful for all of you that have read my blog, used my FREEBIES in therapy, and purchased my products. I look forward to sharing more evidence based therapy techniques and engaging activities for speech fluency, language, and literacy. These are my favorite areas to address in therapy and the majority of my current caseload revolves around these necessary skills. Make sure that you subscribe to the blog so that you don't miss out on the latest Building Successful Lives scoop! There will be plenty of new content in 2016 and products in my TPT store as well. 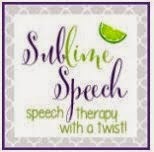 To celebrate my new personal milestone, I will have some FANTASTIC giveaways of speech-language therapy products from some great SLP bloggers and TPT sellers very SOON! I will also raffle off some BSL products too! I don't want you to miss out on a chance to WIN! Here's a picture of Building Successful Lives, LLC founder and I. My mother, Dr. Jacqueline Anderson, is definitely a big inspiration for my desire to enrich the lives of children and families. She is a retired school psychologist, but still works as a licensed clinical psychologist with children, adults, and families in Florida. I appreciate your support since 2013! Check back soon to enter my 3rd Year Blogiversary Celebration raffle! You can check out my 1st post from 1/21/13 here and last year's recap too! Congratulations on your blog, I read it and find it very helpful, and I like your freebies and products, too. How is that a picture of your Mom--she looks way too young! Not that you look old, you also look young, but your Mom must have discovered the fountain of youth! What's her secret???? Hey there. I appreciate your support of Building Successful Lives! My mom will LOVE your comment! Her secret is faith, family, and fun! 😄 She has always been the "entertainment director" in my family & believes in doing things you LOVE! Thanks Daria for your kind words. It's nice that your mom also inspired you! I love the logo on your blog Speech Paths & that you provide private practice services in NJ! You share great content on your blog.